as well as 90’s Utah county band Exit 282.
being Iron Maiden, Judas Priest, Kiss, Whitesnake, Queensryche and Ozzy Osbourne among many others. Our philosophy is make music that you like and hopefully other people will like it too. 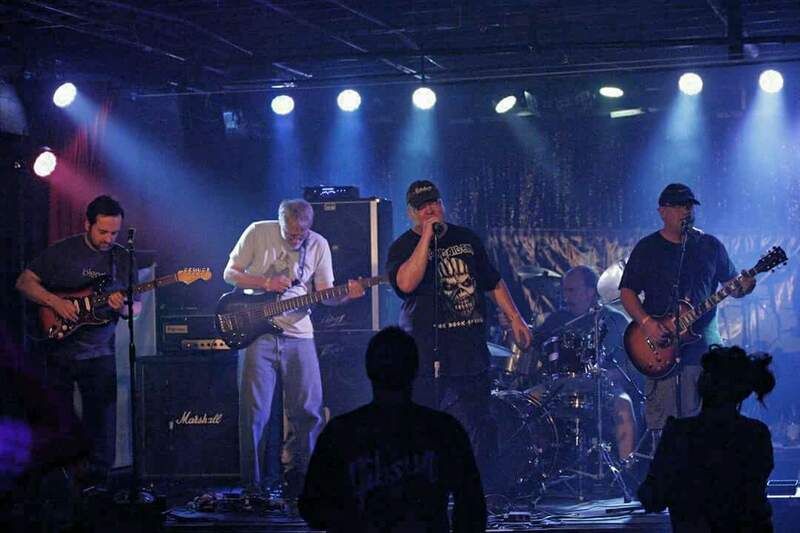 Up Your Alley was formed in 1991 and only played 2 shows together before disbanding. In 2001, the singer moved to Florida for 13 years. Luckily, the other band members kept in contact and kept playing and writing new music together until the singer returned to Utah in 2014. From the first rehearsal, it was immediately apparent that the magic was still there. Up Your Alley’s first album is titled Unfinished Business and the title track reflects how the singer felt in those years away from his fellow band mates and how important it was for him to eventually get back home and make music with them again hence the feeling of “Unfinished Business”. Like and follow us on Facebook and Twitter – we will follow you back! Please enjoy our music!